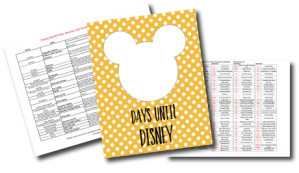 Wondering if a Disney Dining Plan is right for your family? That is the question of the century! Really! This topic is one of the most discussed parts of Disney World vacation planning on blogs, social media, and forums. In this article we’ll look at how Dining Plans work, the different types available, and how much they cost. What is a Dining Plan? A Dining Plan is a meal & snack add-on option when staying “on property” at Disney World. When you purchase the Dining Plan, you are pre-paying for your food and then using credits to get meals during your trip. You can get the Dining Plan if you are booking a room/ticket package, an annual passholder staying on property, or a Disney Vacation Club member (or are renting points from one). Will I Save Money with a Dining Plan? It really depends on what types of foods your family enjoys and how much your family can and will eat. If you have younger children that fall into the “adult” age group (10yr+), then the plan might benefit your family if character dining or signature foods are on your must do lists to try. Remember that each plan only offers two snacks. Many snacks are enough food to serve as a meal. Also, many times, two snacks will not be enough. However, in some cases, you could be left with too many snacks or quick service meals at the end of your stay. Dinner Table Service meals will give you the best use of your credits money wise. Breakfast meals are usually the cheaper meal options. Children under 3 will not get the Dining Plan and you do not have to pay for it. You can share with them from your plate or pay out of pocket for them to have a meal. WHAT ARE THE GENERAL MEAL COSTS AT EACH LOCATION? What Dining Plans Are Available and What’s Included? Single servings of items such as frozen ice cream novelties, popcorn scoop, piece of whole fruit, bag of snacks, 20 oz. fountain drink. How Do We Track Our Dining Plan Credits? When using the dining plan, Disney will pool all your meals and snacks together under one reservation which you can start using once you have checked into your resort. The meals and snacks are available until they have all been used or until midnight on your check-out date. How many Table Service/Quick Service/Snacks do I have total or that are left? You can easily check your My Disney Experience app for the total number of meals and snack credits you have available. How Do We Use Our Dining Plan Credits? Dining Plan credits are redeemed using your MagicBand or through mobile ordering inside the My Disney Experience app. You can use as many meal or snack credits in any given day that you wish. For example, you may have picked the Regular Dining Plan and you get 1 Table Service meal per day. You can use 2 Table Service meals in one day say for breakfast and dinner. The 2 Table Service meals will be subtracted from your total number of credits. You may also wish to use 2 Table Service credits per person for a Signature Meal like Cinderella’s Royal Table. You can also do the same with your Quick Service meals. You may wish to use 3 in one day for breakfast, lunch, and dinner and save your Table Service meal for another day. 1 Quick Service credit can be used to purchase 3 snacks. All 3 snacks must be purchased at the same time. Which Restaurants Require 2 Table Service Credits? Select meals, known as “Signature Dining,” and some other meals require 2 Table Service credits per person. Is the Deluxe Dining Plan Too Much Food? 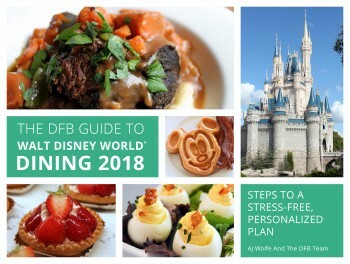 Purchasing the Deluxe Dining Plan? Three TS meals in one day is no doubt a lot of food! This plan offers 3 meal credits that can be used from either the Table Service or Quick Service menus. Table Service meals will give you the best use of your credits for the money. Therefore, some will suggest that you may consider using 1 TS meal for breakfast or lunch and then doing a signature dining meal that requires 2 credits for dinner. Dinner meals are usually more expensive and breakfast meals are usually cheaper. The Dining Plans are popular and convenient! As far as cost savings, we have heard of guests who are able to save money by purchasing a Dining Plan but, typically, it’s possible only when opting for the most expensive options available. Many guests love the convenience of prepaid dining and not having to pay attention to prices when ordering…it’s a vacation, right?